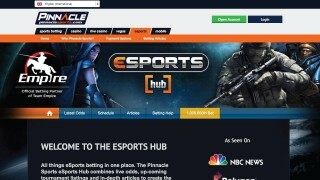 Pinnacle Sports were one of the very earliest adopters of eSports betting having taken their first bet on StarCraft 2 back in 2010 and are well known for having the very best odds and the highest betting limits. Founded in 1998 and based in the Netherlands Antilles in Curacao, they are one of the biggest online bookmakers in the world and offer you the ability to not just bet on e-sports, but also on traditional sports, casino & bingo. They also offer their betting services to 100 different countries but unfortunately are not licensed in the USA, France, United Kingdom, Netherlands, Spain, The German state of Baden-Württemberg, Singapore & the Democratic People’s Republic of Korea. Since they first introduced e-sports betting, Pinnacle Sports eSports have grown hugely in the market, taking their one millionth bet in 2014 and receiving more bets in the market than in both Rugby & Tennis. In fact e-sports is their seventh most popular betting market. This has led to them offering excellent eSports betting opportunities on several different e-sports and on a wide variety of tournaments. This, along with their excellent reputation for offering fantastic odds and high betting limits is why they are loved by eSports gambling fans. They are a great place for you to get started in e-sports betting. 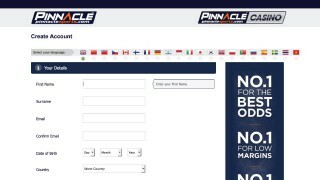 Pinnacle are a really experience e-sports bookmaker and they offer a great range of games for you to make your eSports bets on. For each of these games Pinnacle offer a good variety of tournaments, including all the largest tournaments for each of these eSport games, to ensure you can make your e-sports bets almost all year round. Pinnacle also offer a variety of different types of bets for you to make, though they are currently relatively limited compared to Betway, for example. You can be on the winner of a match or tournament and can make handicap bets on the individual matches too. Lastly they offer combo/accumulator bets, where you bet on the result of several matches all at once to lengthen the odds. 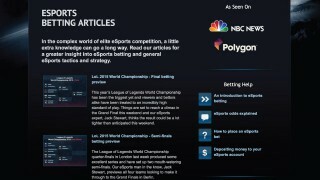 While they lack a bit of variety compared to some of the other eSports betting sites that you can find on esportbet.today, they more than make up for this with the excellent explanations they offer for new e-sports betters and the great odds they offer on these bets. One of the unique points of Pinnacle eSports is that they do not offer any sign-up bonuses, however this isn’t the drawback that it sounds like immediately. Their lack of welcome bonuses is part of their unique pricing model that allows them to offer the very best odds and highest betting limits. They actually allow you to bet on whatever market you like with any stake you like and they have no hidden commissions or terms and conditions. Also, unlike some bookmakers who suspend the account of long term winners, Pinnacle Sports welcome winners. This approach to sports betting is why Pinnacle Sports is so popular amongst serious betters who are far more interested in long term high quality odds than they are in one off short term deals. All deposits are made free of charge and are instantly credited to your account. The one exception to the rule being bank transfer which required 1-5 working days to be credited. 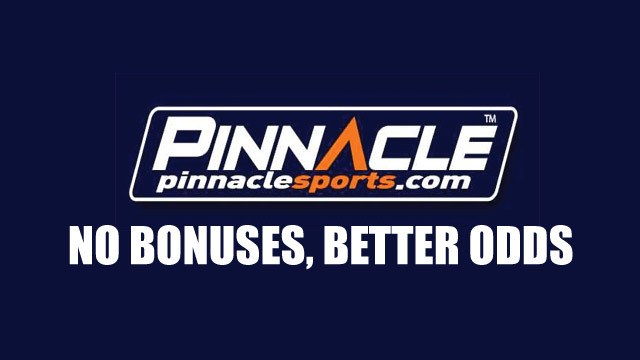 When it comes to withdrawing from your Pinnacle Sports account, you are able to do so free of charge once a month. After that each withdrawal will incur a fee. The fee depends on the method of withdrawal you are using and varies between €12 and €20. There is also a minimum withdrawal amount which also varies depending on the method you are using to withdraw your money. This varies between €10 and €50. If you use bank transfer as your method of withdrawal there is no maximum withdrawal which is a fantastic benefit. There are limits to individual transactions for other methods but they are much larger than most bookmakers. One of the benefits of Pinnacle is that they provide the quickest payouts online. Some methods such as Neteller and Skrill can be received in just five minutes. Much like other online bookmakers you may be required to verify your identity when you withdraw your money which might require items such as utility bills, driver’s licences, and photocopies of the front and back of your credit/debit card. This may seem invasive but goes a long way towards preventing fraud. One drawback to Pinnacle Sports is the lack of variety of their customer support options. They have no phone nor live chat support and so your only option is via email. The email support provided is usually very efficient though and you can expect to be responded to quickly, simply end you queries to [email protected] for a quick response. 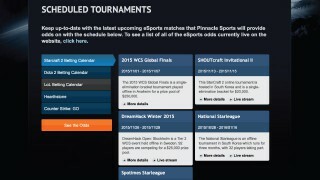 Pinnacle is a really great option for the serious eSports bettor. Their excellent odds and high betting and withdrawal limits, along with their policy of welcoming winning gamblers, make them absolutely ideal if you are someone who takes winning your eSports betting seriously. Obviously the downsides to Pinnacle are the lack of newcomer bonus offers, as well as the lack of phone or live chat customer support. Additionally, while they are very experienced in the e-sports betting market, they don’t offer as many betting choices as some of our other eSports bookmakers. Their lack of a UK gambling licence is also surprising and a real shame. Overall Pinnacle Sports are the pinnacle of big odds and high stakes. © 2018 esportbet.today. All rights reserved. Copying will result in ultimate destruction!